The full album title is Hellbilly Deluxe: 13 Tales Of Cadaverous Cavorting Inside The Spookshow International, but a lot of us just refer to the album as Hellbilly Deluxe. 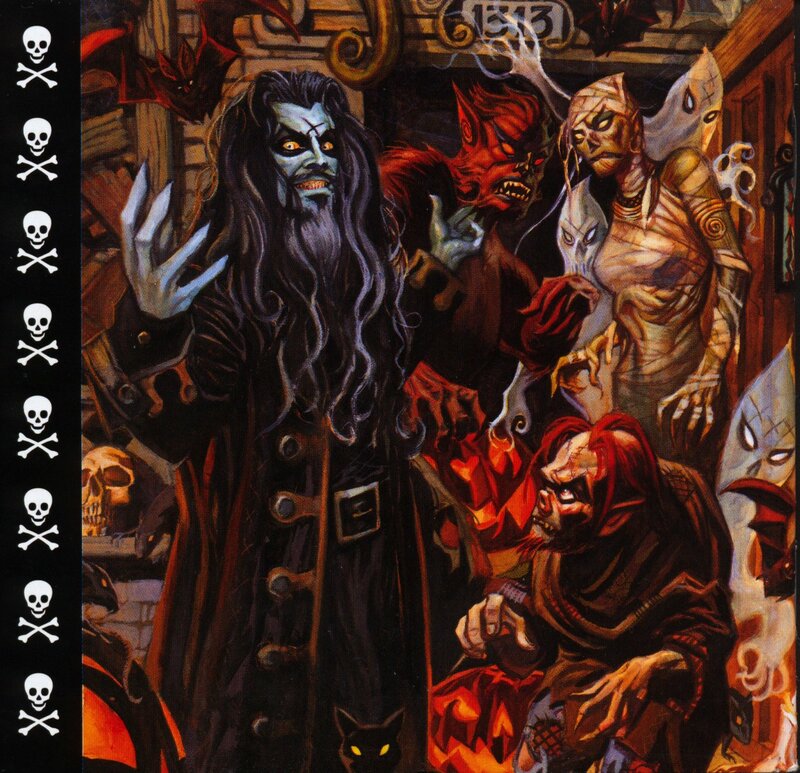 This album was my proper introduction to Rob Zombie because I know I had heard White Zombie before, but I never had paid attention till I had seen him at Ozzfest 99 when he was promoting this album. It was Rob Zombie’s first venture as a solo artist after he disbanded White Zombie and it featured much of the same sound as White Zombie, but it was more ferocious and in your face. It mixed sounds of rock, metal, and industrial into while combining the awesomeness of b-horror movie madness. On the record, Rob played with Riggs (Guitars), Blasko (Bass), and the album saw John Tempesta (Drums) come over from White Zombie and the album features additional work from Tommy Lee of Motley Crue, Danny Lohner, and Mark Matcho. The album was released on August 25, 1998 and the album peaked at number 5 on The Billboard Top 200 charts while going 3 times platinum since in the US and 2 times platinum in Canada. The album features a 24 page booklet which includes the cover and has artwork designed by Marvel Comics artists Gene Colan and Dan Brereton. 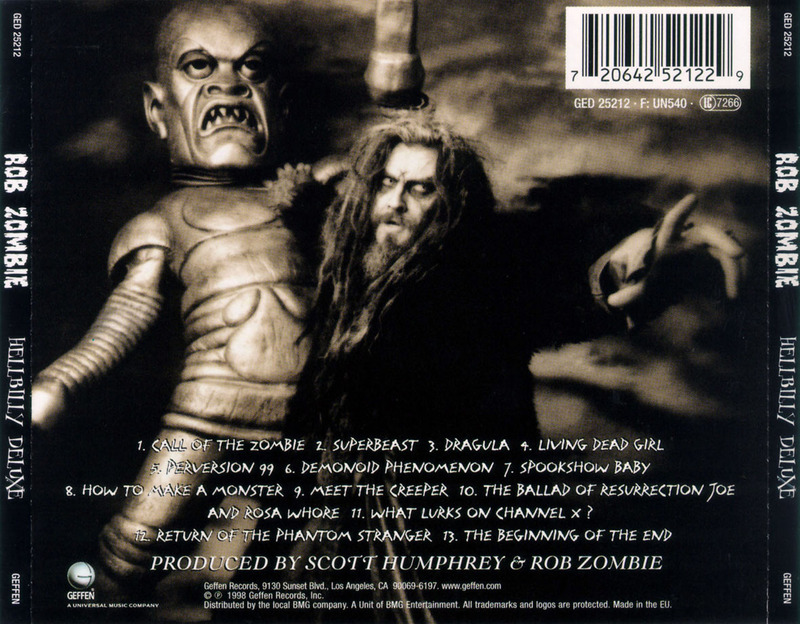 The robot posing with Rob Zombie is a replica robot from the 1939 movie The Phantom Creeps and was designed by Wayne Toth (he would later work with Rob on House Of 1000 Corpses) specifically for Rob. The album also features samples from old horror films like Lady Frankenstein, The Last House On The Left, The City Of The Dead, Mark Of The Devil, Daughters Of Darkness, and The Satanic Rites Of Dracula. My Final Thoughts: I became obsessed with Rob Zombie after I saw what an amazing live show he had and I have to say out of all the lineups he has had, this one is still my favorite. Riggs and Blasko brought another dimension into Zombie’s band that was amazing live. I still believe that the guys he has now are amazing, but it’s been hard to top these first two solo records in Hellbilly Deluxe and The Sinister Urge which is my absolute favorite. The album gets four stars out of five for a final grade. This is the last Halloween related post for the album of the week category. It has been a fun ride this year. Here is to next year.